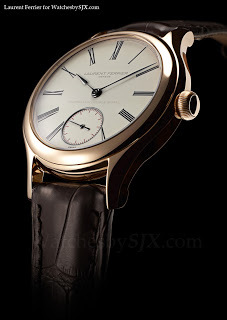 Recently Laurent Ferrier announced once of its tourbillons achieved record results at the Besançon Observatory. 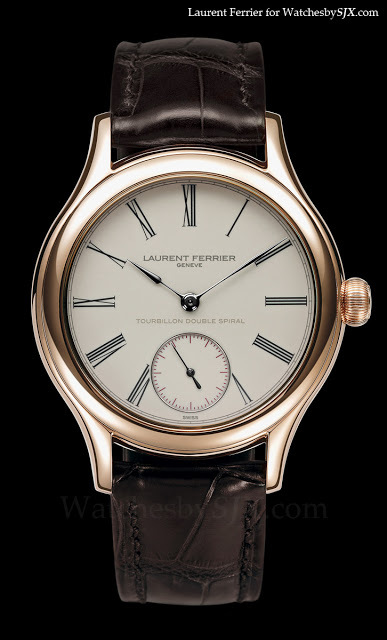 That watch was one of the new Laurent Ferrier Galet Classic Tourbillons with the beautifully toned ivory grand feu dial. The Roman numerals are black, as are the hands, which are actually blackened gold. And a nice detail is the white gold rim around the sub-seconds dial. Inside sits the superbly finished calibre with tourbillon and double hairspring created by La Fabrique du Temps. This is the second dial variation for the Galet Classic Tourbillon announced this year, after the brushed, slate grey dial.